The USB Promoter Group has announced the upcoming release of the USB4 specification. The new standard is based on Intel’s Thunderbolt protocol and supports a range of features, including data transfer rates of up to 40 Gbps, display interfaces, and power delivery. The detailed USB4 specification will be published in the middle of 2019. 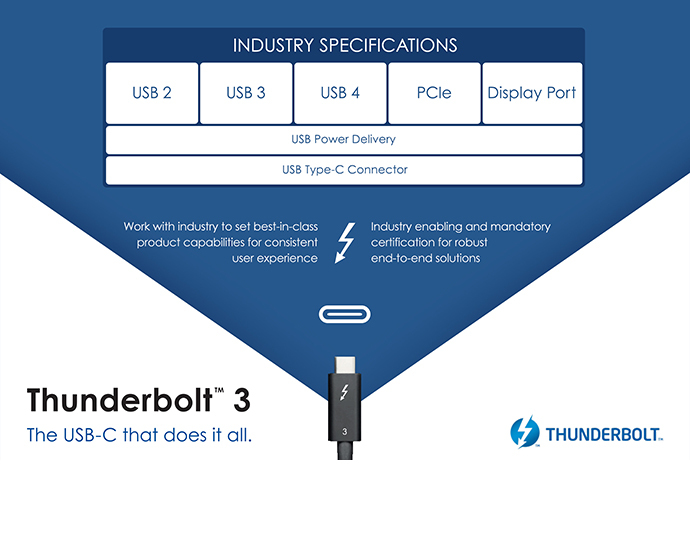 The USB4 specification will be based on the Thunderbolt protocol that Intel has contributed to the USB Promoter Group. The new interface will use USB Type-C connectors and will maintain backwards compatibility with USB 2.0, USB 3.2, and Thunderbolt 3 interfaces. The maximum data transfer rate supported by the new USB4 interface is 40 Gbps over 40 Gbps-certified cables. Also, USB4 will support various display protocols, and power delivery. The USB4 standard will be officially ratified in the middle of 2019. At present over 50 companies are actively participating in the final stages of development of the draft USB4 specification. 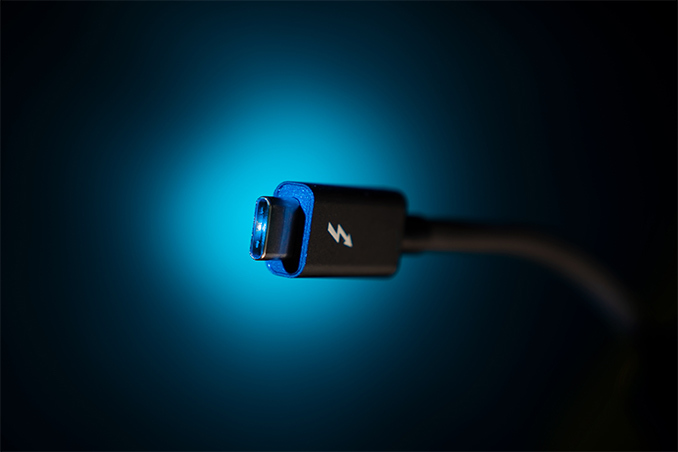 [IMG]Based on what we know about the USB4 specification at this point, the new standard will use the Thunderbolt protocol, but it will not be exactly Thunderbolt 3 as its functionality will likely be different. 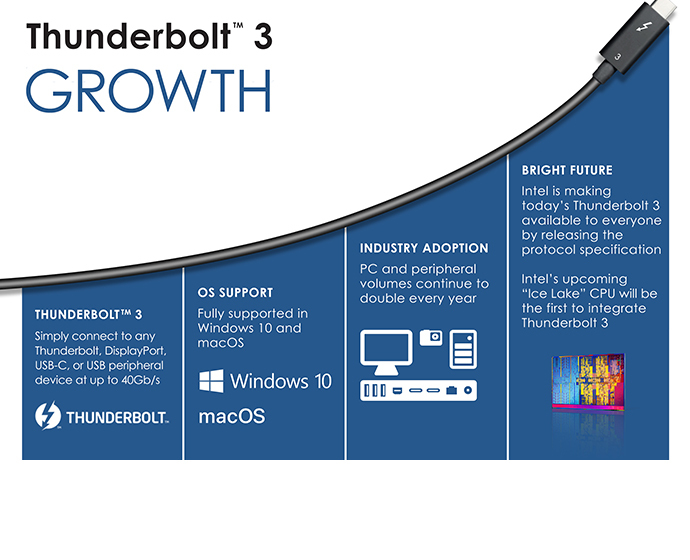 The contribution of the Thunderbolt 3 protocol to the USB Promoter Group essentially brings TB3 to mainstream PC platforms and enables various companies to integrate its support into their products. Meanwhile, Intel’s Ice Lake processors will be the first CPUs to support Thunderbolt 3 natively.